Just north of Seal Rock is a little wayside that we call Strawberry. The only sign indicating a name is (as of a year ago) a street sign called Curtis Ave. It got the “Strawberry” name because the kids could always find wild strawberries around the parking lot. 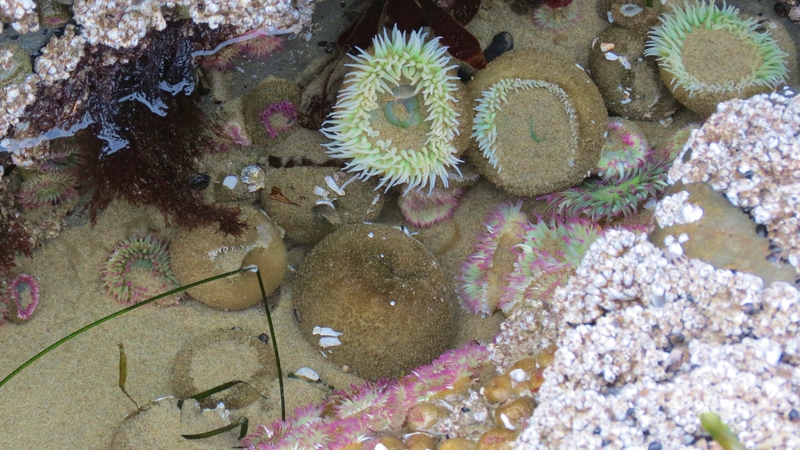 We found these little treasures in the tidepools nestled in between the rocks in the top photo. 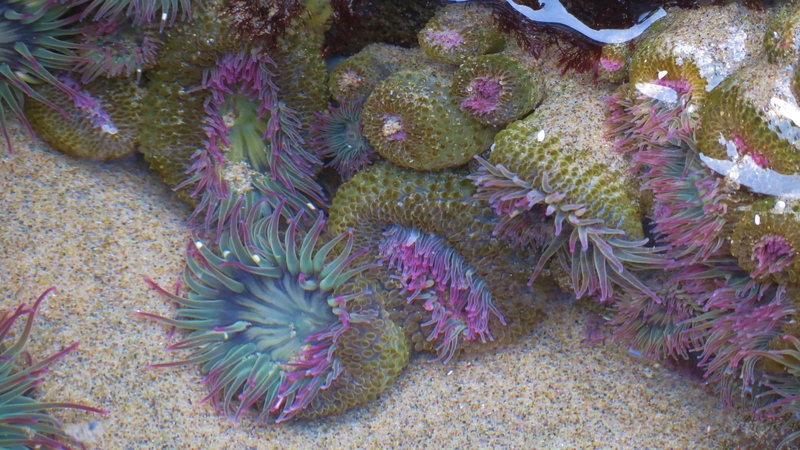 The Giant Green Anemones are noticeable first. 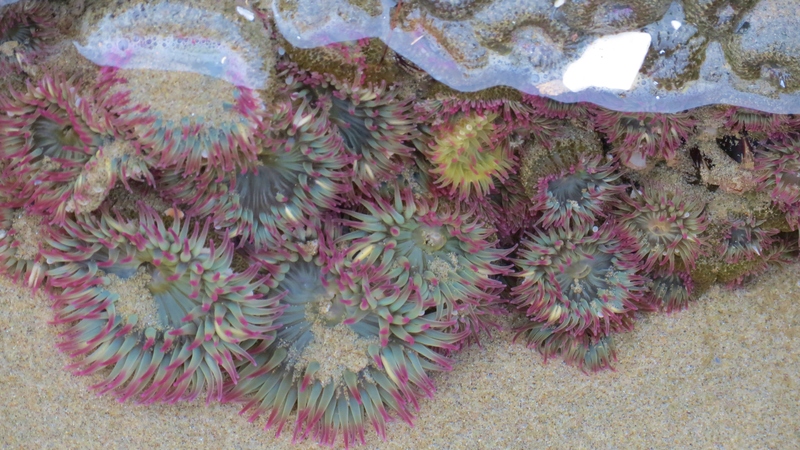 But, if you see a tint of pink, look closer to find the Aggregating Anemones. You can even see some of the pink when they are closed. They are so delicate and lacy looking. 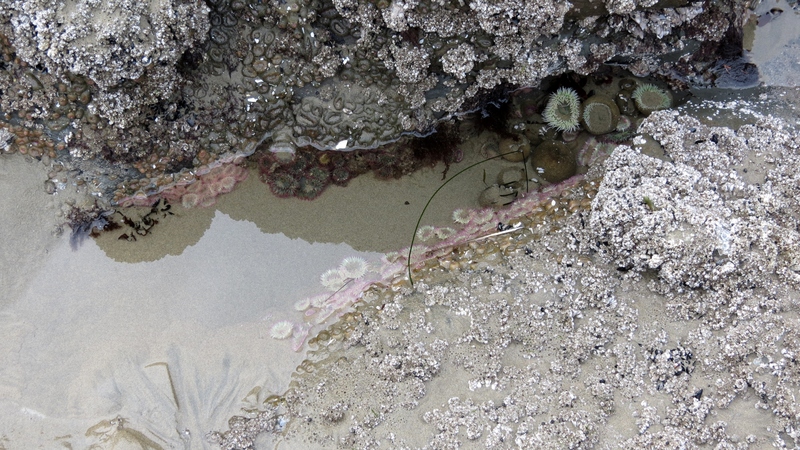 When I first looked at the beach I wasn’t sure we’d even see a tidepool. I sure am glad we took the time to walk and look closer! 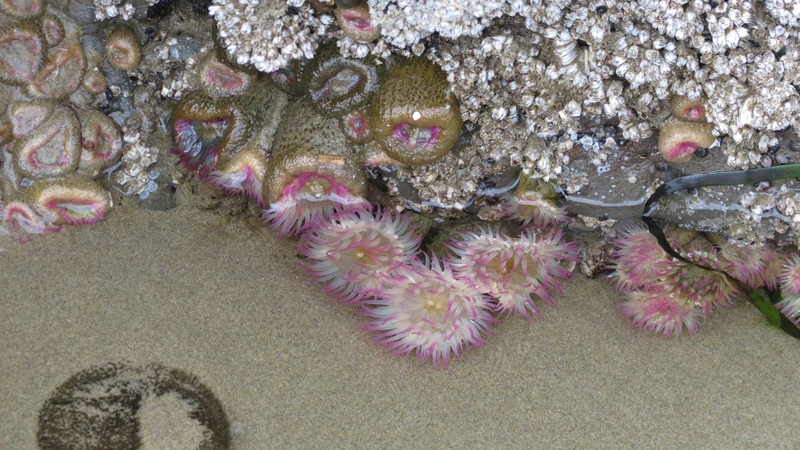 We were rewarded with beautiful color to brighten up this gray day on the Oregon Coast. Thanks for reminding us that even on grey days there is color to be found!! And a Happy New Year to you and Don!! Beautiful Captures – love the colors:) Happy New Year!!! 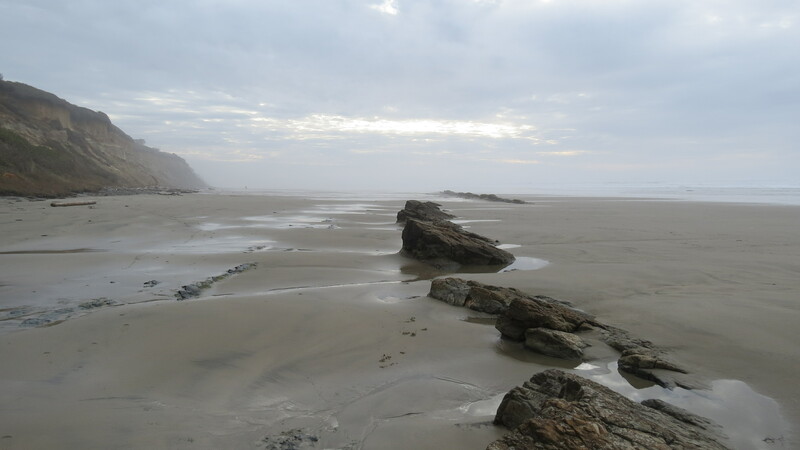 I was thinking that they look like fireworks 🙂 That’s how Oregon beaches celebrate New Year’s Eve!